Turn heads. 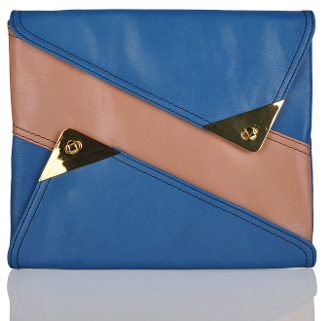 The leather Futo is a one of a kind envelope clutch. Featuring two full-sized, overlapping asymmetrical pockets the Futo can carry all of your necessities. An added bonus is that it holds the iPad and other tablets! It's dually functional and tansitions smoothly from a chic and trendy evening bag to a professional iPad case. This clutch pairs perfectly with your favorite jeans and makes a statement at any formal event. ASHARD RICHLEY’s lambskin skin Futo is available in Plum | Celedon.